Make your home in this vibrant area of Milwaukee, packed with restaurants, coffee joints and shops. Stop in at Glorioso’s Italian Market and pick up some cheese and olives, before heading over to the local Walgreens to stock up on essentials. If you have cash leftover, you can wander over to Annie’s Vintage Clothing and Rarities to browse the rails for a unique outfit or check out the oil paintings of the neighborhood by Milwaukee artist Mike Fredrickson. When it’s time for some fresh air, rent a kite and buy a hotdog at Veteran’s Park nearby, and take in the beautiful views over Lake Michigan. 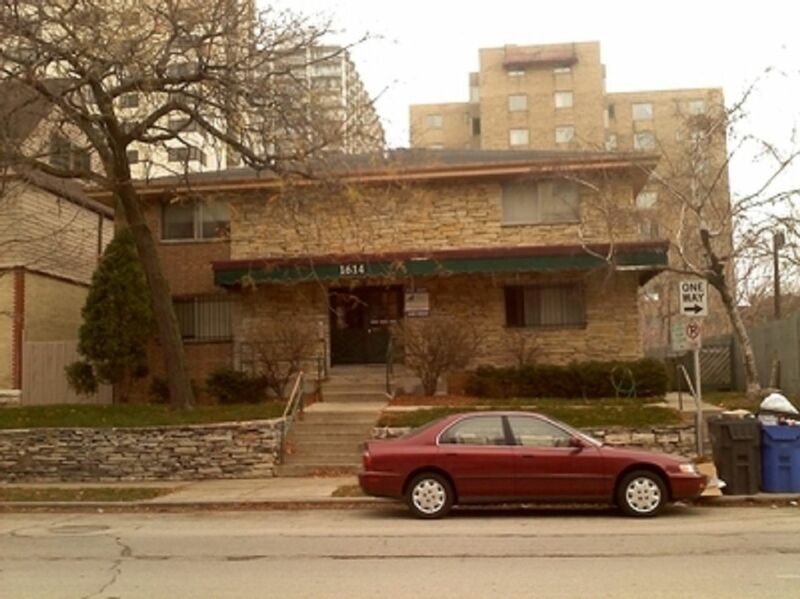 Farwell Apartments is well-placed if you’re studying at one of Milwaukee’s educational institutions. Within 10 minutes, you can drive to the University of Wisconsin-Milwaukee, the Milwaukee School of Engineering or the Milwaukee Institute of Art & Design. If you’re headed for classes at Cardinal Stritch University, you can get there in just 16 minutes by car. If you need to take the bus, you can walk three minutes to the nearest stop. Pull up outside Farwell Apartments and park your car, before heading upstairs to greet your four-legged friend – your new home is dog-friendly. Slip off your shoes and stroll across the hardwood floors of your one-bedroom apartment. You’ll stay cozy through Milwaukee’s frosty winters thanks to the heating included in your rent, or you can grab an extra sweater from your spacious closet. Grab some clothes and head down to the on-site laundry facilities to catch up on your chores. Some homes feature balconies or patios, so you can chill out with a cool drink in the sunshine after a job well done. Then, pick up your bag and catch up on your latest assignments – you can switch on the included air conditioning if you feel like it. Once you’ve worked up an appetite, you’re only a short walk from East Brady Street and its many shops and restaurants – check out Thai-Namite’s Thai menu and sushi counter. But if you’d rather have a night in, you can wander through to your fitted kitchen and whip up a bite to eat yourself on the hob. We couldn't find a room that matches your preferencesView all Entire Place in Farwell Apartments.